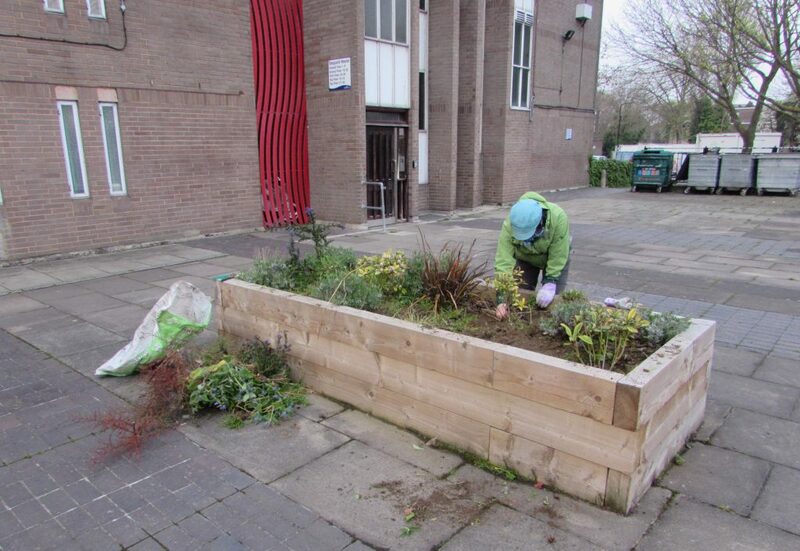 The raised beds sitting on the garages outside Baly, Ponton and Despard Houses are still not being maintained by Pinnacle PSG, so volunteers have been out weeding. Would you like to help? It doesn’t take long, and they look so much better afterwards. Contact us, if you would like company, or just get stuck in! What a day! 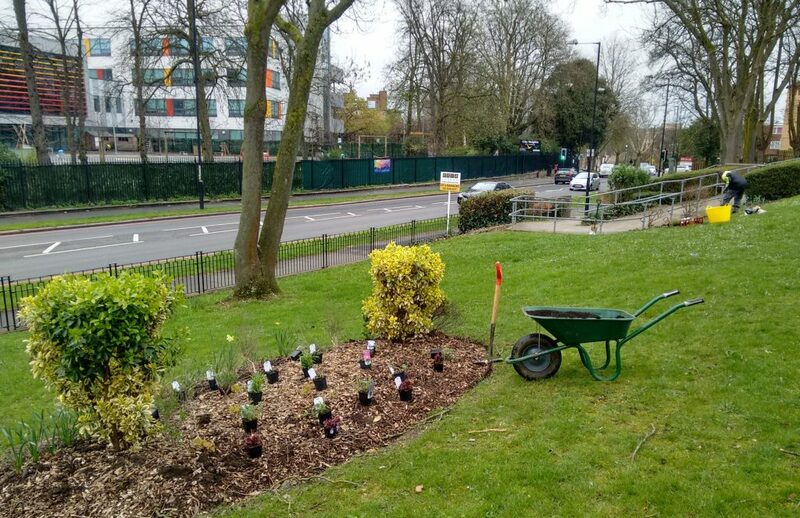 We planted hundreds of pot plants and bulbs all over the estate, in flower beds and planters and around trees. They don’t look like much at the moment, but, come the summer, the estate should be a riot of colour. We planted geraniums, nepetas, heucheras, asters, campanulas, phlox, gaillardia, heleniums, snow drops and bluebells. You can make sure that these survive until the summer by watering them, if they are near to where you live. Thank you to everyone who came to help, particularly Dot, Taye and Mark from Urban Growth. 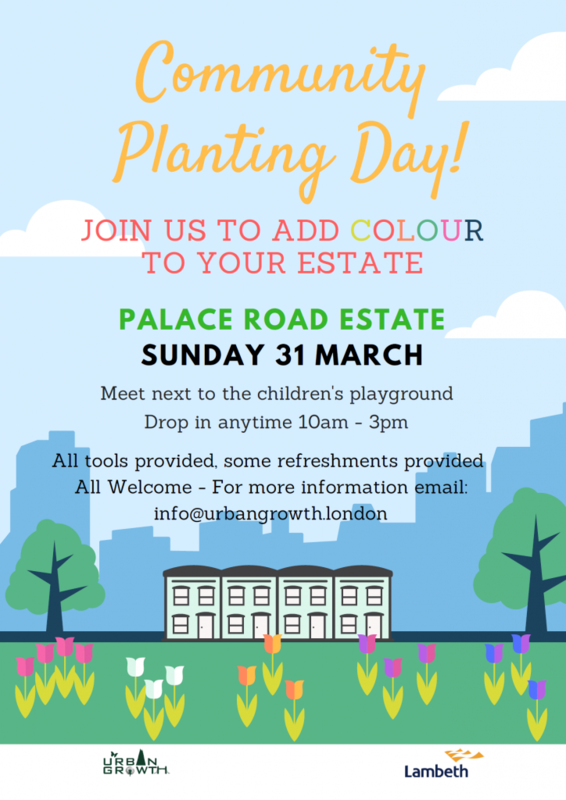 On 31st March Urban Growth will be coming to the estate to help us brighten it up with new plants and flowers. Drop by and join in at any time between 10am and 3pm. We will be meeting at 10am by the playground. The planting will take place at various locations around the estate, so if you arrive later in the day, have a walk around and you will find us. The crocuses are blooming and the daffodils are hot of their heals – spring must be just around the corner! There are some beautiful flowers around the estate, but we are sure that parts of the estate could still do with brightening up, so we have been in discussions with Urban Growth about doing some more planting. Ideas have included summer bulbs and a wildflower meadow. Let us know if you’d like to get involved with the planting, or if you have any ideas about what we should plant. 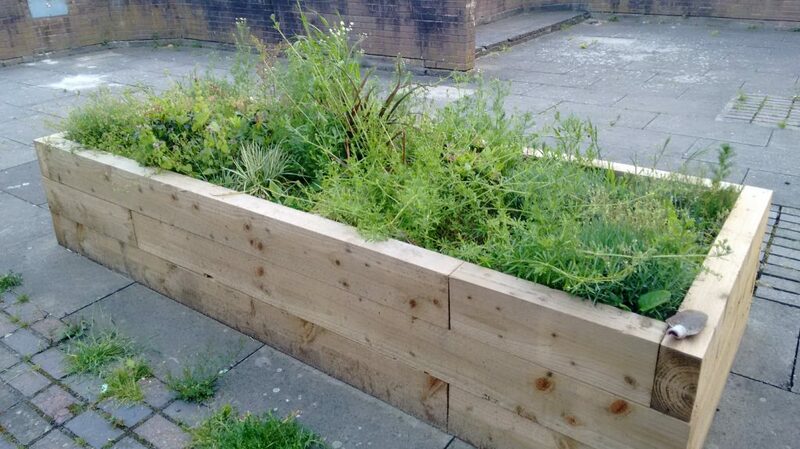 As Pinnacle PSG aren’t maintaining our lovely new raised beds (despite being paid to?) Rob has been weeding them. If you would like to help with making our estate an attractive place, do get in touch, or just have a go! 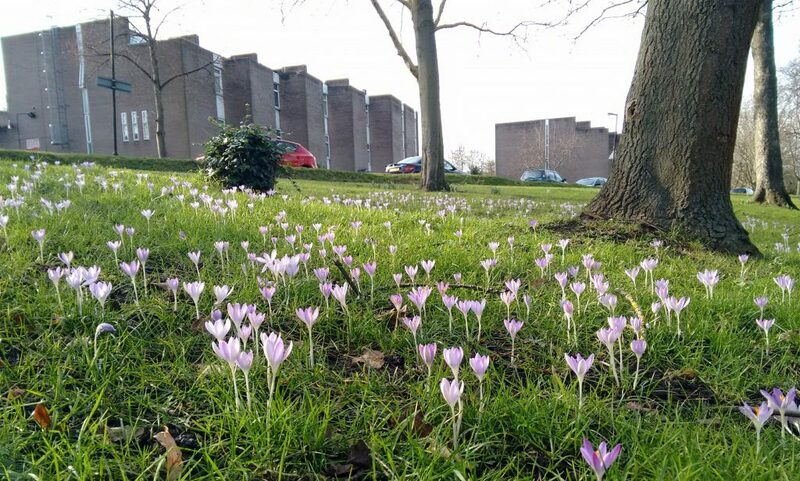 With the thawing of the snow, spring has arrived at Palace Road Estate! 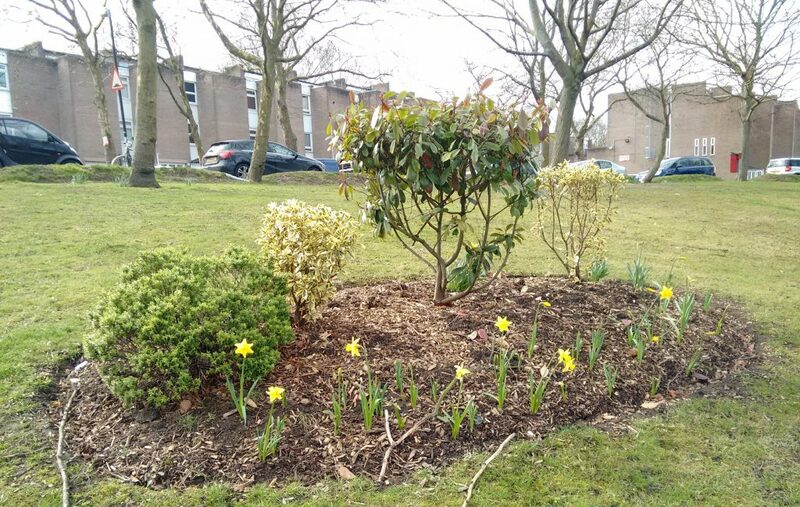 Look out for the daffodils that the committee planted around the estate last December. 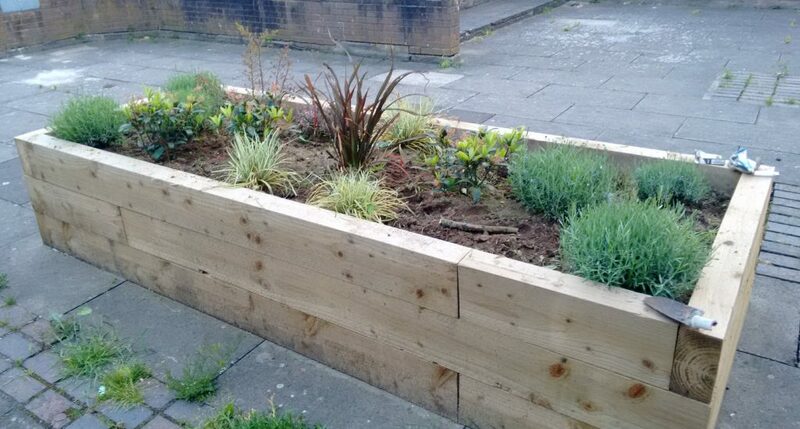 Let us know if you can think of other ways that we can make the estate more attractive. This weekend and last weekend, members of the PRERA committee were out planting daffodil bulbs around the estate. 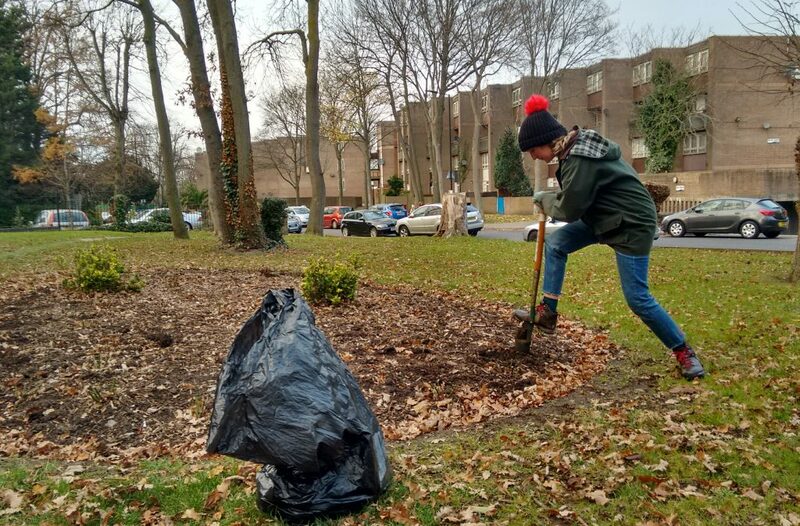 We planted a couple of hundred, around the edges of the flower beds on Bushell Close and along Coburg Crescent, as well as in some of the tree-pits along Palace Road. The bulbs were donated by Pinnacle, our grounds maintenance contractor, who also lent us the bulb-planting tool. You may have noticed that the oval bed by the entrance to Bushell Close has recently been planted with roses, again courtesy of Pinnacle. 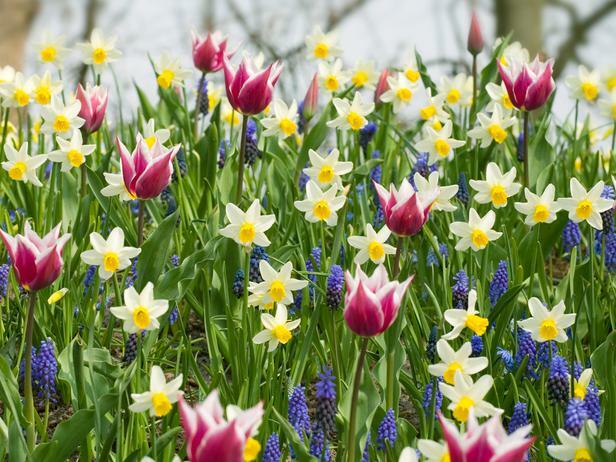 This Sunday we will be planting spring bulbs across the estate to it up. The bulbs have been kindly donated by Pinnacle, the contractor responsible for our grounds maintenance. We will be meeting at 11am on Sunday (26th November 2017), next to the playground. Do come along and join in! Wondering what to do on a damp November Saturday? 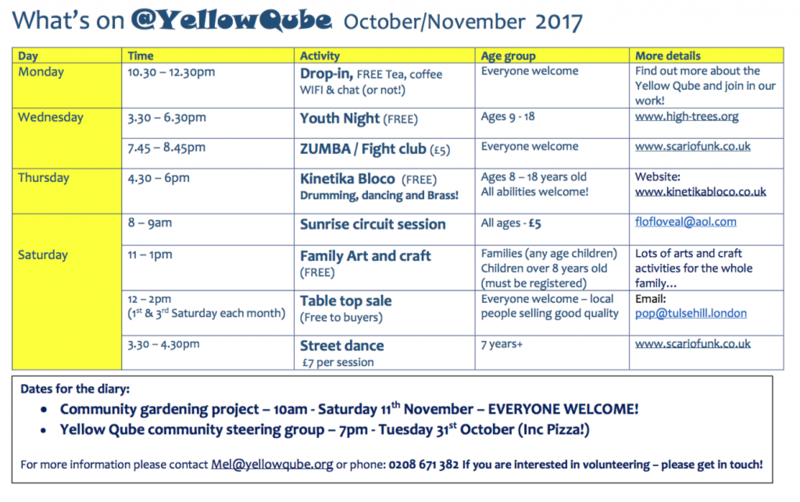 Why not join in with the launch of the community gardening project at the Yellow Qube, just over the south circular road? The event starts at 10am.